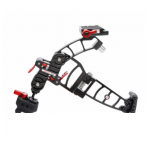 The Stinger for Scarlet and Epic Cameras is a fully balanced shoulder mounted rig perfect for those long shooting days. The rig features our Studio Baseplate for Scarlet and Epic Cameras. This baseplate features our Rod Riser with 4.5” rods. The Rod Riser provides the correct rod height when using a matte box or follow focus with the Scarlet and Epic. Rods also run out of the back of the plate to hold the shoulder pad and counterbalance weights or batteries mounted on our Zwiss Plate for counter weight. On each side of the baseplate there is also a set of 15mm lightweight holes. The side rod ports holes take 15mm female rods that are locked via an Allen screw. This gives users virtually unlimited mounting options such as mounting a Zwiss Plate with professional batteries off of the side when shooting on a tripod for better balance, creating a cage configuration, or mounting Zacuto articulating arms, an EVF Mount, rods and more. The baseplate has standard ¼” 20 and 3/8” 16 holes on the bottom for mounting the rig onto a tripod. The Stinger includes our Shoulder Pad with 7” rods and a Z-Lite 7lb counterbalance weight for a fully balanced in-line rig. 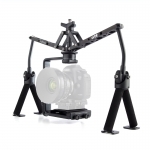 The more balanced and less front heavy the rig, the longer you can hold it without arm fatigue. You can slide the counterbalance weight forward and backward on the rods for custom comfort. This rig can be used on your left or right shoulder. With the shoulder pad and counterbalance weight coming directly off of the back of the baseplate, the rig is perfectly in-line and ready to be used with one of our EVFs for traditional ENG style shooting. 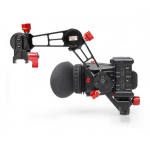 You can mount your EVF to the side of the rig using our EVF Standard Mount Kit. 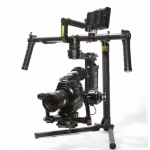 This rig is compatible with any 15mm lightweight standard accessories. 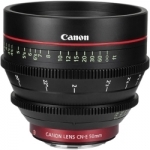 The Z-Focus would be a great add on accessory if you are looking for a follow focus.